Tableau is committed to ensuring our current and future customers are well informed about the robust capabilities and security of Tableau Online. A part of that commitment is our guarantee to have our business policies and practices evaluated and validated by independent 3rd parties. Service Organization Controls reports (SOC) are issued to organizations that provide services like Tableau, and whose controls have been evaluated by a 3rd party against defined standards. The reports are available to customers and potential customers who are evaluating the effectiveness of Tableau’s policies and procedure for controlling our services. We are committed to maintaining the SOC accreditations to reassure and validate our customers use of Tableau Online. Tableau has elected to onboard the SOC 2 report to establish and validate the controls designed to meet Security & Availability commitments made to our customers. The use of this report is restricted to customers, both current and prospective, seeking to learn more about Tableau’s environment and service capabilities. To request Tableau's SOC 2 Type II report, please contact your sales account manager, or email customerservice@tableau.com. We have also made our SOC 3 report publicly available from our Tableau Security page. 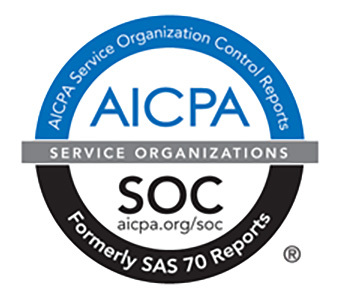 A SOC 3 report is used by customers who may not need as much detail as contained in the SOC 2 report. This version of the report is typically referenced by potential customers early in their evaluation of Tableau Online without needing to contact Tableau directly. For questions regarding Tableau’s Security & Compliance programs, you can reach out to our Customer Services group at customerservice@tableau.com. To learn more about security in the cloud with Tableau Online, visit our Tableau Online page or check out our Tableau Online Security in the Cloud whitepaper. And if you haven't yet, try Tableau Online for yourself.